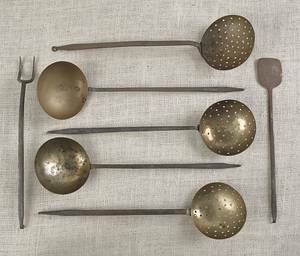 Group of Pennsylvania wrought iron and brass utensils, ca. 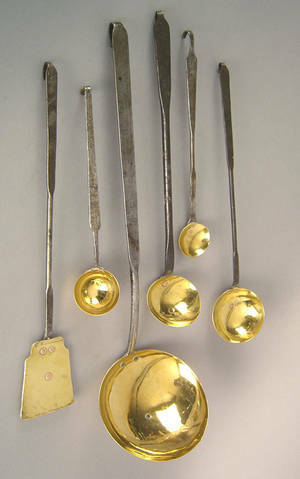 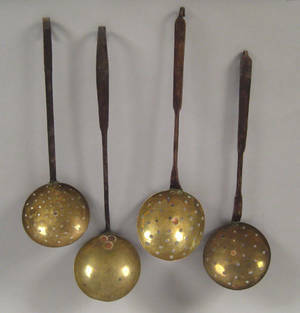 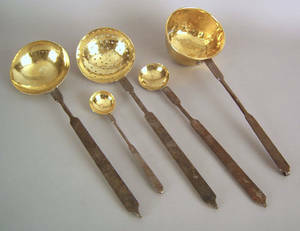 1790 , to include a dipper, ladle, skimmer, and 2 tasters. 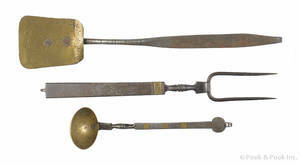 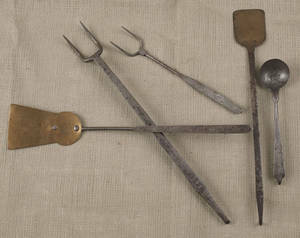 Four Pennsylvania wrought iron and brass utensils, ca. 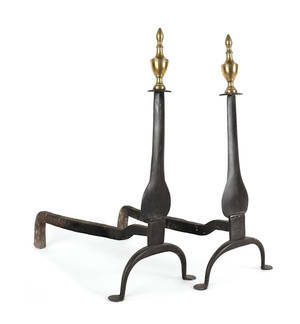 1800. 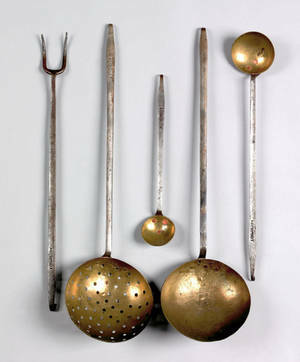 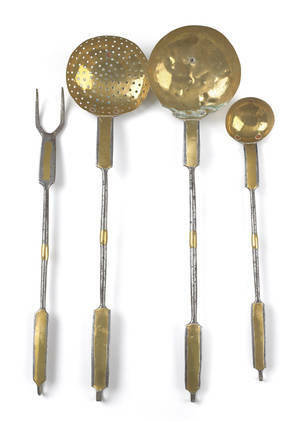 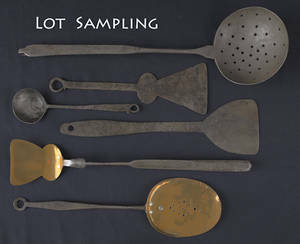 Collection of Berks County, Pennsylvania wrought iron and brass utensils, 19th c.